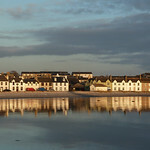 Port Ellen is the largest place on Islay and the main ferry port, yet it still has the feel of a sleepy, wee village. It was founded in 1821 by the laird, Walter Frederick Campbell, and named after his first wife. 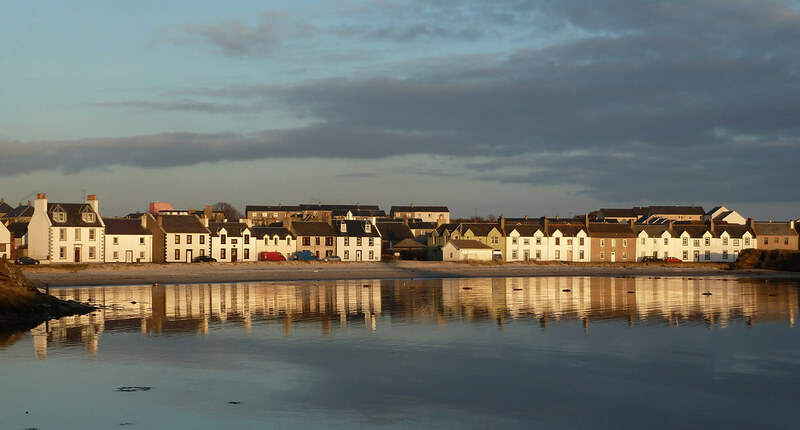 There are shops, hotels, B&Bs, restaurants, a bank, a couple of filling stations, a post office and an information centre of sorts, based in a caravan beside the White Hart Hotel, making Port Ellen a good base from which to explore the delights of the southern half of Islay. 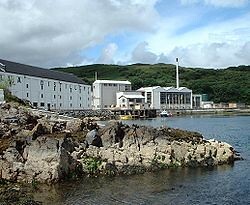 There are a number of excellent day trips from Port Ellen. A road runs east out to Ardtalla, where it ends. 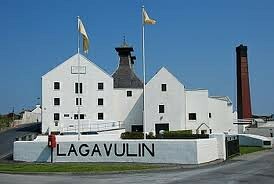 Along the way, it passes three distilleries, first Laphroaig, then Lagavulin and lastly, Ardbeg, all of which offer guided tours. Between the Lagavulin and Ardbeg distilleries is the dramatically sited 16th-century ruin of Dunyvaig Castle, once the main naval base and fortress of the Lords of the Isles. A mile further on is the impressive Kildalton Cross, standing in the graveyard of the ruined 13th-century chapel. The eighth-century cross is remarkably well preserved and one of Scotland's most important Early Christian monuments, and the carvings depict biblical scenes. At the end of the road is Ardtalla, from where you can begin the ascent of Beinn Bheigeir (1,609 ft), the island's highest hill, with spectacular views from the summit. Southwest of Port Ellen a road runs out to a little, rounded peninsula known as The Oa, an area of varied beauty, both wild and pastoral, and with a wonderful coastline. The road runs as far as Upper Killeyan, from where it's about a mile uphill to the spectacular headland at the Mull of Oa. Here you'll see the strange-looking American monument. 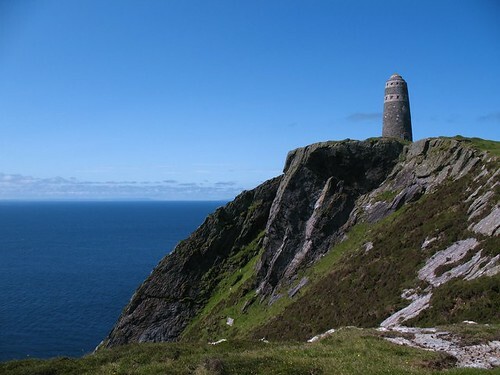 The obelisk commemorates the shipwrecks offshore of two US ships, the Tuscania and the Ontranto, both of which sank in 1918 at the end of the war. 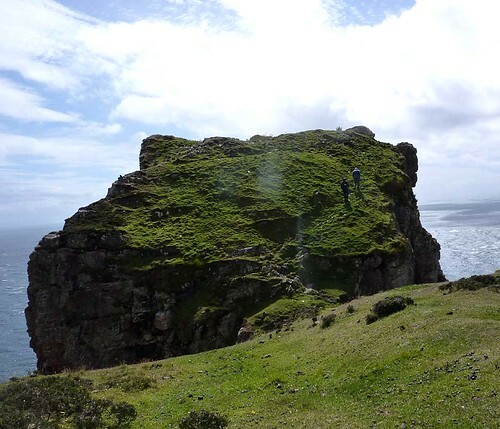 There's a great walk north from the Mull of Oa up to Kintra, but it's best to start out from Kintra. 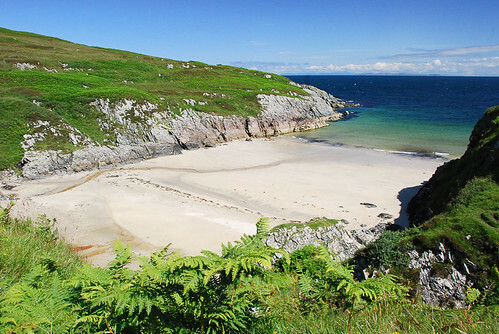 A turn-off from the road to The Oa leads north to Kintra, at the south end of The Big Strand at Laggan Bay, with five miles of glorious sands and dunes. There's a restaurant and accommodation here, and it's a great place for camping. 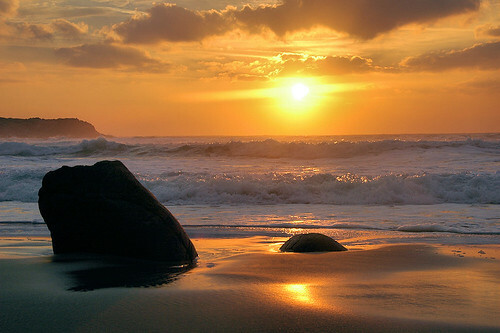 The restaurant is at the end of the road, with the beach on one side and on the other a wild and spectacular coastal walk incorporating caves and the impressive Solidier's Rock sea-stack. Ask at the TIC for the Explore Islay walking trail leaflet. Just to the north of Kintra is the Machrie golf course, it offers a memorable golfing experience. 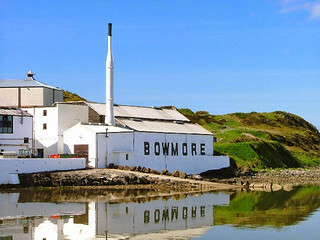 The A846 runs north from Port Ellen, straight as a pool cue, to Bowmore, the island's administrative capital and second largest village. Founded in 1768 by the Campbells, it's an appealing place, laid out in a grid plan with the main street running straight up the hill from the pier to the unusual round church, designed to ward off evil spirits, who can hide only in corners. Thankfully, the nice spirit stayed behind and can be found at theBowmore Distillery, just to the west of Main Street. 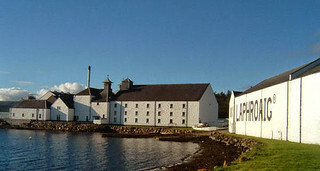 This is the oldest of the island's distilleries, founded in 1779, and the most tourist-friendly.